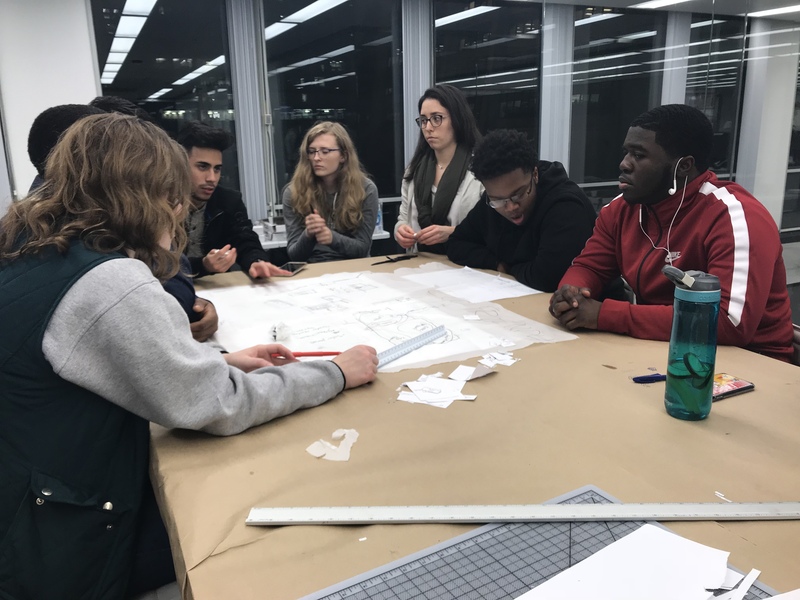 This week team 2 gained a good feeling for massing and made valuable progress toward floor plan development. 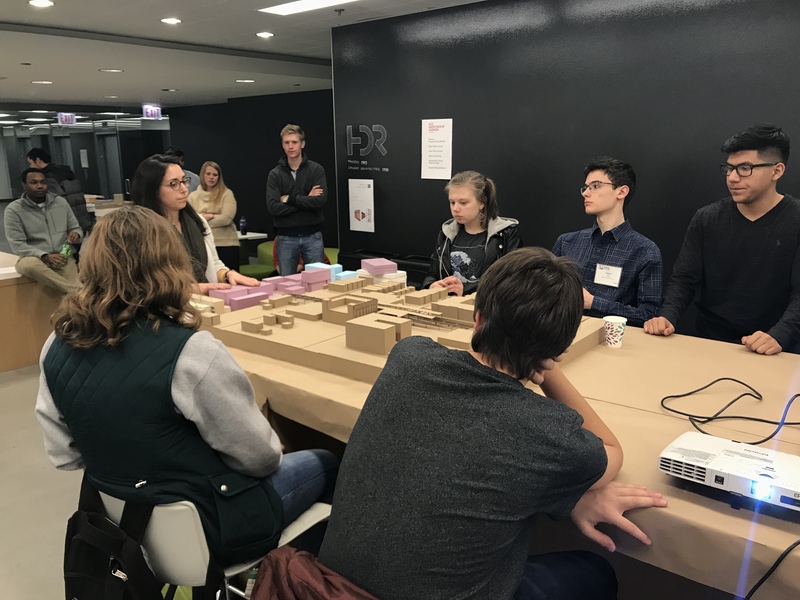 Mentor Andrea started off the session with a lesson on massing and programming by showing the students a 3D printed model of the Woodlawn project area. 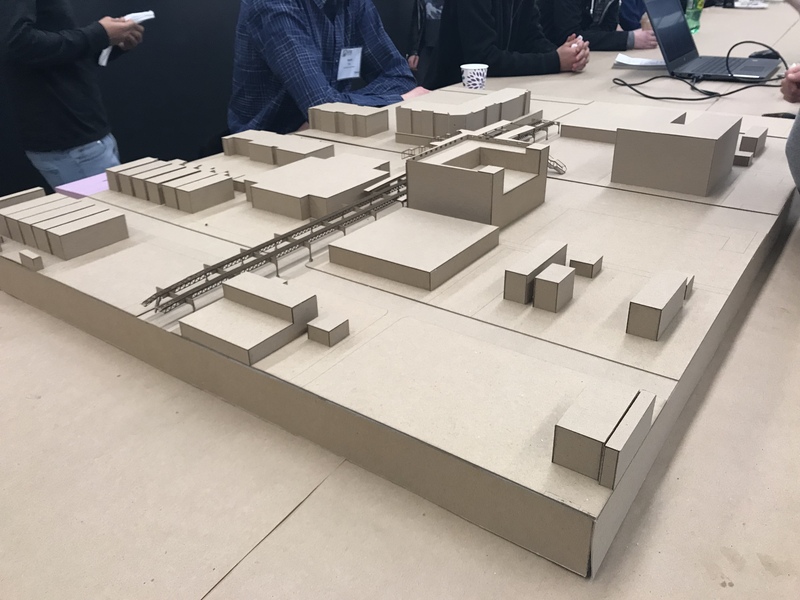 These models are helpful in the design process to determine massing– the general shape, orientation, and location of the proposed buildings and sites. 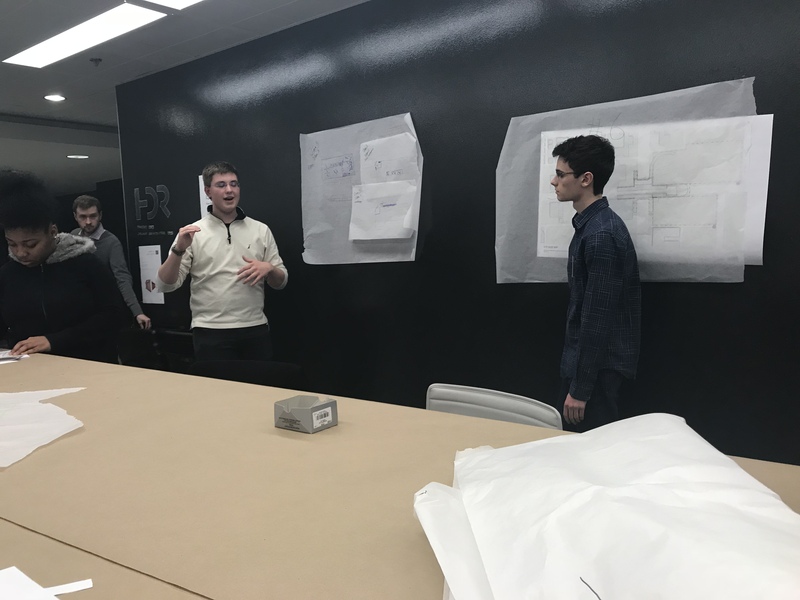 The models help physically show designers and owners how the new design will incorporate into the current surroundings. Once teams got a feel for the massing for their area, they broke down and started working on floor plans. They used scaled cutouts of things like bathrooms, basketball courts, stairways, and people to determine how much they could fit into each space. They also worked with the other groups to plan how to get from each space to the others. This is especially important for group 6, who connects the groups 2 and 3 to the surrounding area. In the last few minutes, groups elected spokespeople to present progress made during the session. This helped each group get a better sense of what other groups were planning, and discover areas where they could use better communication. It also helped everyone get a better feel for the overall theme and how the different groups fit together to make a cohesive project. Also, the three presenters got great experience with public speaking for the final presentations in April. Up next: continuing floor plans; modeling; MEP intro.